I've been following William Beaumont's "Vehicle Blog" for a couple of years now. Will, as he's known by his friends (not that I'm one of them, I've just blog-stalked him enough to know), is a design/film student in Britain. 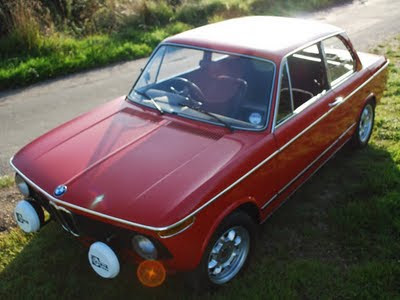 And he posts quite a bit about his cherry red BMW '02... one that's very similar to my former ride. Well he JUST posted this little flick cut to a tune that I actually needed to Shazam: The Night (In) by Frankie Valli & The Four Seasons. Anyways this automotive home movie is radical and believe me—his Bimmer is WAY faster than mine ever was! Funny side note, it seems that the moving shots were recorded from the open boot of a MINI. Nice. Not to mention, LOVE the fogs.